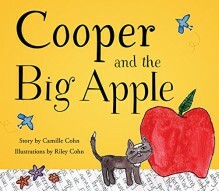 Follow Cooper and his adventurous companion Jennifer as they travel from the Texas Hill Country to the Big Apple! Cooper the cat is purrfectly content with his life in Texas. So when his best friend Jennifer tells him they're taking a trip to New York City, he's not really sure what all the fuss is about. But, like a good friend, he embarks on the new adventure with her. Jennifer takes Cooper to climb the Statue of Liberty, to visit the Stock Exchange, and to attend a Broadway musical, and to see many other New York City landmarks. At each new location, Cooper realizes the Big Apple is not what he expected and even more than he imagined!